Access to over 100 surcharge-free ATMs within a 10 miles radius of our West Ashley Branch. Plus, because we are a cooperative credit union, our members have access to over 25,000 surcharge-free ATMs nationwide. How can you find the ATM that is most convenient for you? Finding a surcharge-free ATM is easy with the CO-OP’s Online Locator. Just visit COOP ATM FINDER to find a surcharge-free ATM nearest you! *While CO-OP Financial Services website strives to report the most current information on each location, some institutions may have changed processors or have moved locations. This transaction period may cause a discrepancy in the locations reported. Finding a surcharge-free ATM is easy with the CO-OP’s Locator App for iPhone. Using the CO-OP ATM Locator iPhone app, you can find the ATM nearest you, or search for ATMs by specific address, city, state or zip code. Downloading the app is free, easy and there is no registration process. Just search ‘CO-OP ATM’ in the App Store at www.iTunes.com. Then download, install and go! *App is for locating CO-OP Network ATMs only. There is no charge for downloading the app at iTunes.com. However, web charges may occur on your cell phone bill depending on your data plan. Check with your service provider. You can also locate a CO-OP surcharge-free ATM via text message. Simply determine your location or area, then text the address, intersection or zip code to 692667 (MYCOOP). * You’ll receive a very prompt text response with the location of the CO-OP ATM nearest the location you requested. Please remember, do not text and drive! *CO-OP Network ATMs, 692667 (MYCOOP) is a surcharge-free service. But check with your mobile phone provider as standard text messaging rates apply. And don’t worry, you’ll never receive any unsolicited messages by using 692667 (MYCOOP). 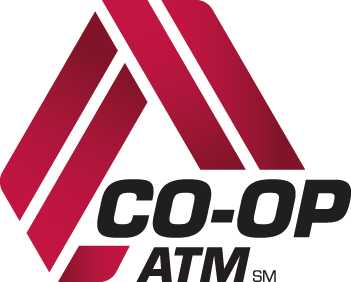 Take the CO-OP ATM Network with you when you drive! Download the database of more than 28,000 surcharge-free ATMs directly to your Garmin®, Tom Tom® or other GPS device here. *You’ll never be lost looking for your CO-OP ATM again. To download click here and select your GPS device type.! *Note: By following the link to download to your GPS, you will be leaving Latitude 32™ website. At times, we may provide links to sites outside the control of our credit union. We do not make any representations concerning the linked sites' contents or availability. You should review each site's privacy and information security policies carefully before you enter confidential information. Your savings are federally insured by the NCUA to at least $250,000 and backed by the full faith and credit of the United States Government.